The ISPCA also was involved in 35 prosecutions. THE ISPCA HAS released its report into its activities in 2015, which shows that thousands of investigations were undertaken into suspected cruel treatment of animals. 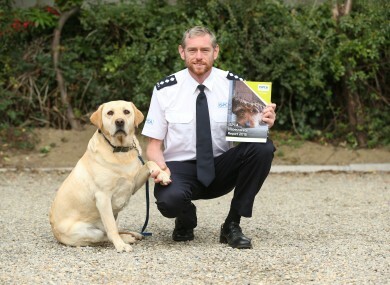 The report covers 17 counties and shows that 15,000 calls were received by the ISPCA National Animal Helpline, 3,000 investigations were undertaken, 1,100 animals were seized or surrendered, and 35 prosecutions were brought under the Animal Health and Welfare Act. Conor Dowling, ISPCA Chief Inspector, said that the society increased its number of officers from six to eight last year. It also has an inspectorate presence in an increased 17 counties. He said that the Animal Health and Welfare Act which came into force in March 2014 “represents a huge step forward in animal welfare in Ireland”. As Authorised Officers our Inspectors are empowered, in the vast majority of situations we encounter, to enter property, examine animals and even to seize animals or other evidence when appropriate. This has allowed us to deal with issues far more effectively than before. In the report, the ISPCA details some of the cases it dealt with. In one case, a small female terrier dog was discovered in a rented property, in an area contaminated with dog faeces and urine. The dog was seized by the ISPCA and the terrier was rehomed. The defendant was banned from keeping dogs for four years and fined €200. In another case, a lurcher dog was found after dying from parovirus. The ISPCA said it had a “slow lingering death” as it had not received veterinary treatment. In another case, a man was taken to court in Donegal after 11 horses were found in “extremely poor condition”. He was fined €500. Email “3,000 investigations into allegations of abuse of animals last year”. Feedback on “3,000 investigations into allegations of abuse of animals last year”.